Rev. Tad Gregurich is determined to help believers fulfill their divine purpose as they learn to operate in faith and be led by the Spirit. Tad attended Illinois College, playing both basketball and golf, and obtained a bachelor’s degree in theology at Faith Theological Seminary and Christian College. 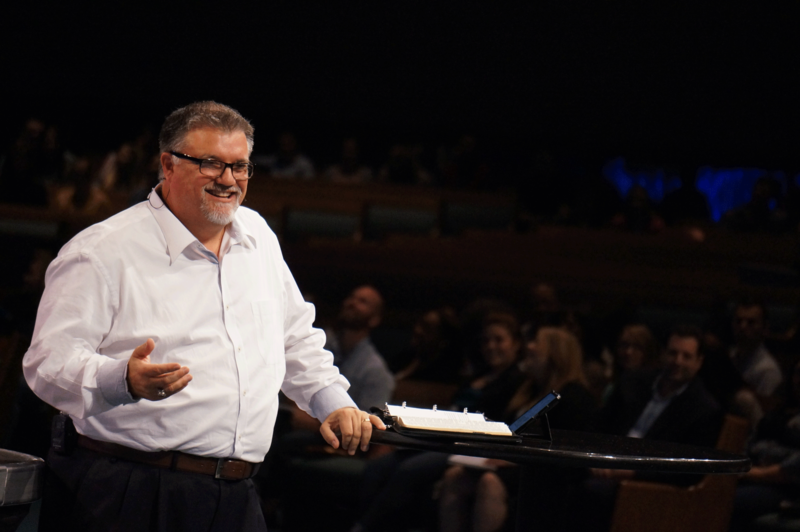 After graduating from Rhema Bible Training College in 1984, he served as a senior associate pastor, praise and worship leader, and youth pastor under two Rhema alumni. In 2001 he became a staff minister in the Rhema Alumni Office and an instructor at RBTC. He was appointed dean of Rhema Bible Training College in 2008 and also became an associate pastor at Rhema Bible Church. Whenever he gets a chance, Tad loves to golf, eat steak, and sleep! He has been married to his wife, Amanda, since 1988, and they have two children: Emily and Tanner.